Rev. Michael Joseph O’Brien, CSV, died on Thursday, March 20, 2003, at the age of 82. Fr. O’Brien was born in Dunlap, IA on July 9, 1920. He was the son of the late Joseph George and Mary Bridget O’Brien. He is survived by one sister, Mrs. Mary (Eldon) Freberg of Omaha, NE, and many nieces and nephews. 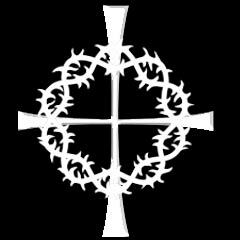 He is preceded in death by his parents, his two brothers, Rev. Thomas G. O’Brien, CSV, and Daniel Patrick O’Brien, and three sisters, Mrs. Betty (Vincent) Connealy, Mrs. Kathleen (Raymond) Connealy, and Mrs. Margaret (Alvin) Kobolt. Fr. O’Brien professed First Vows as a Viatorian on January 25, 1942, Final Vows on February 2, 1945, and was ordained to priesthood on June 6, 1948 in Sioux City, IA by Bishop Mueller. He was a graduate of St. Joseph High School (1933-37) in Dunlap, IA. He attended St. Ambrose College in Davenport, IA and graduated from Fordham University (1943-45) in New York City with a B.S. in Chemistry. He went on to graduate studies at Catholic University (1952-57) in Washington D.C., where he received his M.S. and his Ph.D. in Counseling Psychology. During his ministry, Fr. 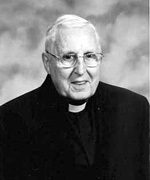 O’Brien served the Church as educator, administrator, chaplain, parish priest and counselor. His first assignment was St. Joseph’s School for the Deaf (1943-45) in New York, where he served as Prefect. After ordination, he was assigned to Archbishop Stepinac High School (1948-52) in New York, as a teacher and then taught at Loyola University (1956-60) in Chicago. He was assigned to the Evanston Viatorian Seminary (1960) as Director and Regent. From there he was assigned to the Viatorian Seminary in Washington, D.C. (1961-66) as Director and Regent. 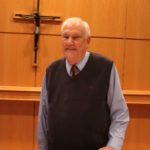 He returned to Loyola University as a member of the faculty (1966-86) and was then assigned to St. Joseph Retirement Home in Palatine, IL as Chaplain (1986-April 1987). He began working at Catholic Charities in the Diocese of Joliet (1987-89) as Pastoral Counselor and was then assigned to St. Patrick Church in Kankakee, IL (1989-93) as Parochial Vicar. He was Chaplain at Our Lady of Victory Nursing Home in Bourbonnais, IL from April of 1993 through April 30, 1995. He then retired to the Province Center Retirement Residence in Arlington Heights, IL where he lived until the fall of 2002. Fr. O’Brien then moved to Villa Desiderata Retreat Center in McHenry, IL, where he had celebrated Mass and co-coordinated retreats throughout his retirement years. He spent his last days surrounded by family and the people of this community that he had come to love so much. Visitation took place on Sunday evening, March 23, 2003 from 5:00 p.m. – 9:00 p.m. at Villa Desiderata Retreat Center in McHenry, IL. The funeral liturgy was celebrated on Monday, March 24, 2003 at 10:00 a.rn. at the Province Center in Arlington Heights. Burial was in the Viatorian Community plot at Queen of Heaven Cemetery, Hillside, IL. Please remember our brother, Joe, in your Masses and prayers.